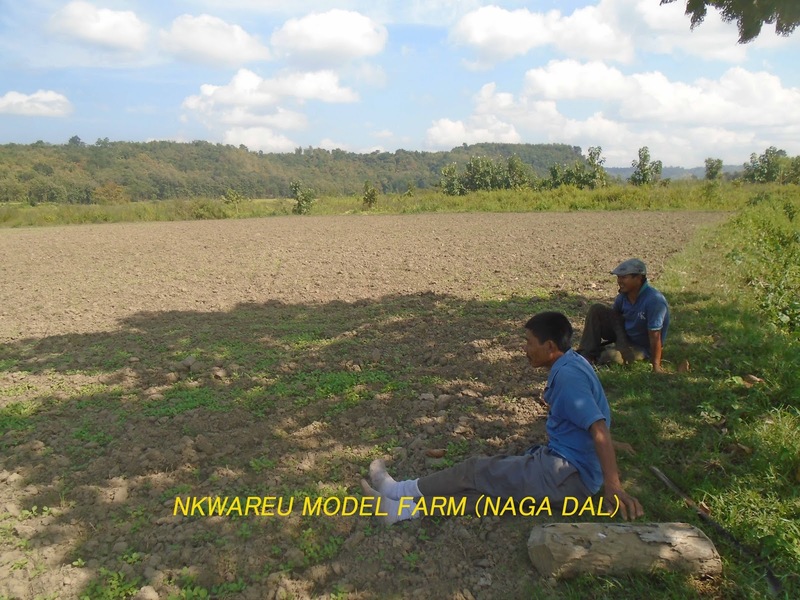 Nkwareu village in Peren District of Nagaland is one of the project villages under FARM North East. Development Association of Nagaland (DAN) during the beginning of the project (FARM North East) had much difficulty in convincing the people of this village & they were not cooperating at all. But hard work of Team DAN with the community finally helped them to come out with good results. As of date Nkwareu is one of the best performing villages under FARM North East & DAN is proposing to develop the place as a model village under the project. “We were not happy with DAN in the beginning as we could not trust them but after witnessing the goods that they intended to bring our village, we extended our full cooperation”, said Chunjanglung. Nkwareu village is dominated by mixed population of Zeliangrong group, consisting of Rongmei, Liangmai & Zeme tribes respectively. A framers’ club by the name Reku has been set up in Nkwareu village during 2013 consisting of 33 members. “After its formation, the farmers’ club was moving in the right direction & promoting agricultural activities among the villagers”, said Martha, Team DAN. The communities were using chemical inputs partially in their agricultural fields but now it has been replaced by organic practices to a great extent. “We realized through our friends from DAN that using chemicals in our fields could adversely affect not only our environment but also our health”, said Asua. It was heartening to observe that farmers in this village were trying to return to their traditional agricultural practice that is fully organic. More encouraging is to see that the farmers were resorting to use of local landraces of crops in their fields. “We understand now that hybrid seeds are not only bad but also requires more investments compared to the local ones”, said Immanuel. From time to time as a regular practice, Team DAN kept on visiting Nkwareu & tried to help them in every possible ways. During one such visit in June 2014 the framers expressed their desire to grow Naga Dal (a variety of pulse) in their field. Naga Dal occupies a special place in the society as one of the staple foods & also used in different traditional activities or rituals. The cost of this Dal could be anywhere between Rs 80 to Rs 90 per Kg. Team DAN that was already encouraging organic agriculture was right behind the community in taking the cultivation ahead. “Fifteen of us from the farmers’ club decided that we would cultivate Naga Dal in 3 acres of our village land & share the income equally”, said Ms. Meiduanthuiliu. These 15 members then started off clearing, ploughing & subsequent sowing of seeds (Naga Dal) during July-August 2014 & continued cultivation until they harvested in December 2014. “We experienced the beauty of coming together as a unit & realized that it simply benefits”, said Ms. Luthuanliu. The farmers shared responsibilities in turns while taking care of the growing crops during the cultivation period. 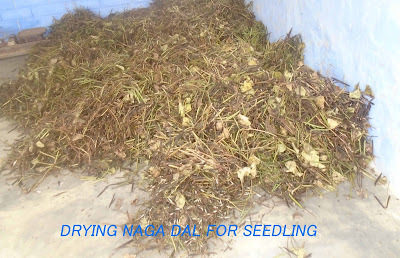 It was stunning to observe that the group harvested 40 tins (600 Kg) of Naga Dal from 3 acres of land in a single season. The farmers were more than happy to share that it was a blend of traditional knowledge & modern organic agricultural practices like weed composting & organic pest repellents (introduced by DAN through Caritas India) that brought about such remarkable harvest. Christmas for these poor farmers, who would otherwise borrow money brought in good times as they earned Rs. 36,800.00 & shared equally among themselves. It doesn’t simply end here! The farmers donated Rs 1000.00 to the account of their own farmers’ club. “We desire to set examples for others in our village to follow so that they may also be able to raise their income”, said a vividly happy Dereha. The beginning is here... Nkwareu village stands tall in community action today. The Zeliangrongs are one unit now & they look forward to a bright future.